Researchers led by Dr Oscar H Franco (University Medical Center, Rotterdam, the Netherlands) reviewed 26 prospective cohort studies and 12 randomised controlled trials involving a total of 794,000 subjects and 34,817 cerebrovascular outcomes. Participants consuming two to four fish servings a week had a 6% lower risk of cerebrovascular disease compared with those having one or fewer fish servings a week. Participants eating five or more fish servings a week had a 12% lower risk. 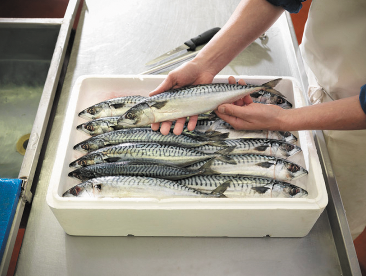 In a dose-response meta-analysis, an increment of two servings per week of any fish was associated with a 4% reduced risk of cerebrovascular disease. There was no evidence for similar associations with cerebrovascular disease for long-chain omega 3 fatty acids measured as circulating biomarkers in observational studies or fish-oil supplements in primary- and secondary-prevention trials. Eating more fish may reduce the intake of other less healthy foods, or higher fish intake may be an indicator of a generally healthier diet or higher socioeconomic status, both associated with better vascular health, the authors say. “It seems that the additional benefit of supplementation in patients who are optimally managed may be small,” the authors say. Based on available evidence, it is “reasonable to advise people that eating one or two portions of fish a week could reduce the risk of CHD and stroke,” they add.